Congratulations, Marwa Abouelella, on your Meemic Foundation grant. Marwa is a teacher at Rogers Early Elementary in Allen Park. 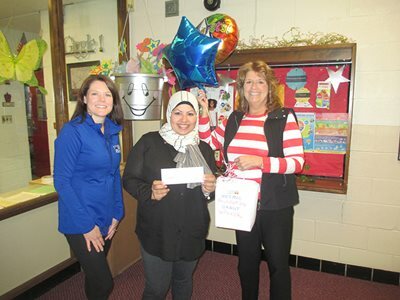 Janet Toler-Stemen of Toler-Stemen Insurance Agency in Dearborn Heights presented Marwa with her award. She’ll use the check to give students a natural, faster way of learning English language skills through GrapeSEED, an oral language acquisition and critical listening program.